The first technique and the most important is the Love Mantra. 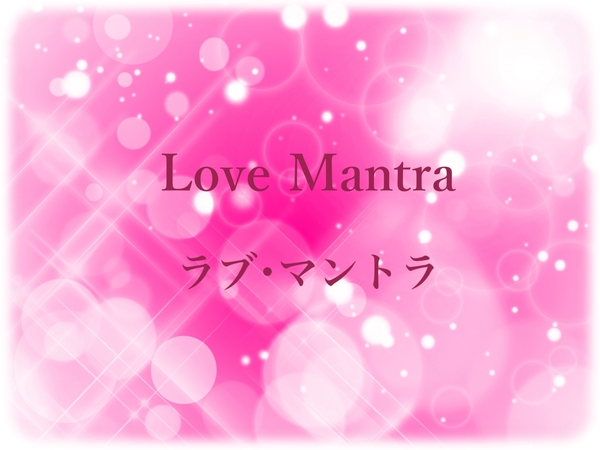 The Love Mantra is very powerful because it is the precise frequency of the Pure Vibration of Love. This gives us Infinite Support for everything in our life. Love is the support. It is the Foundation of Inner Silence that supports our stability during times of challenge and stress. If we have this core of Love, no matter what situations come up, no matter what emotions arise, we can deal with them clearly without being controlled by them. This is the first mantra that we give because it helps us to transform our old reactions to the world around us and allows us to bring in more Love and Compassion. The Love Mantra is like the Sun. It fills us with the warmth and security of Love and touches everything in our life and refreshes everything in our body, consciousness, and soul. Copyright © 2019 瞑想教室ホールハート（Whole Heart） All Rights Reserved.